Sit and stay at our Top Dog Table featuring laser cut paw and bone details. Available in two colors to complement our classic line of equipment in Red/Blue and Canine Courtyard in Green/Black. Ask about other color options! Features four comfortable seats, plus an umbrella hole for those sunny days. (Umbrella not included). Portable frame offers flexibility and can also easily be anchored to the ground if necessary. 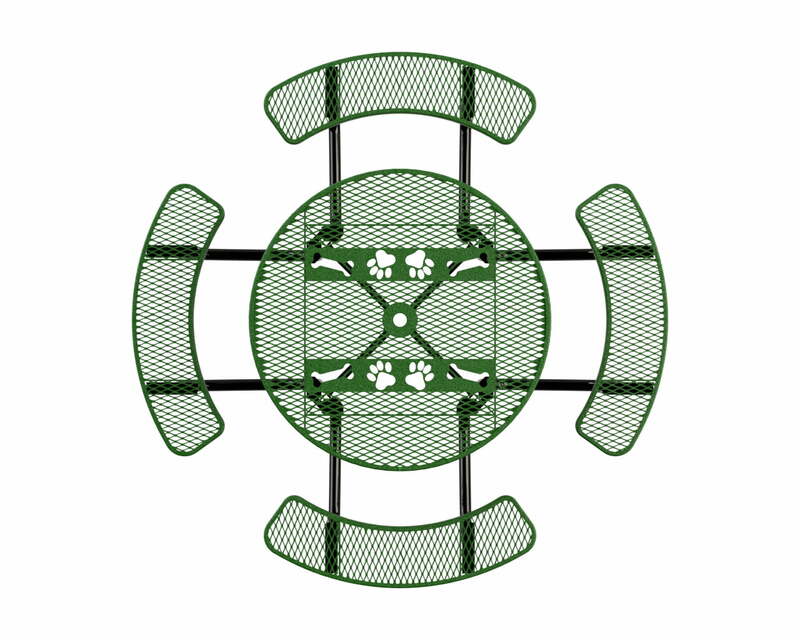 Pair it with our Basic Dog Paw or Deluxe Bench for a cohesive look to your park. Smaller size is ideal for apartment communities, RV resorts, campgrounds and pocket parks. 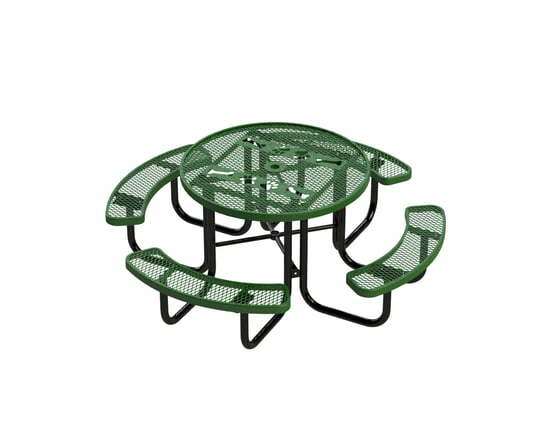 Dimensions: Table: 46"D Seat:18"H Overall Diameter of Table/Seats: 78"
Heavy gauge, durable galvanized steel with durable three-step powder coat finish to resist corrosion.